Early identification of a pest, disease or weakness is essential to ensure that a tree is as safe as is reasonably practicable. 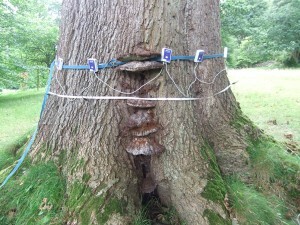 We assess the health and structural integrity of a tree in various ways using visual tree assessment (VTA), assessing its body language and using non-invasive techniques to determine internal condition, tree stability and vigour. 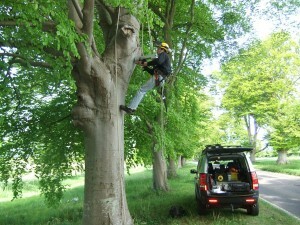 Tree inspections are generally made from ground level, with a climbing inspection if necessary. 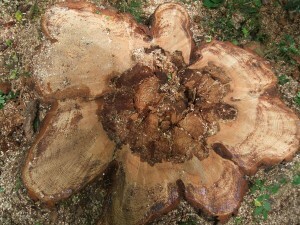 If a tree exhibits visual signs of internal dysfunction or decay, further investigations are necessary. We use the latest diagnostic equipment to assess a tree’s internal condition for fractures, cavities or decay so that we can recommend the most appropriate action. Accurate interpretation of the results produced by the Picus and Resistograph can only be carried out by an experienced practitioner. This sophisticated equipment maps the internal condition of a tree’s stem by measuring the speed that sound travels in a number of different positions and directions. Sound travels fastest through sound wood and more slowly through decayed or degraded wood and the Picus Tomograph interprets this data to produce a visual image of the tree’s internal condition. This instrument uses a very fine micro-drill to penetrate a tree’s tissue, measuring resistance to the probe. Sound wood provides greater resistance than decayed wood, so we can interpret the graph trace produced by the Resistograph to establish the tree’s internal condition. The Resistograph is particularly useful for testing buttress roots or for aerial examination of limbs within a tree’s crown. 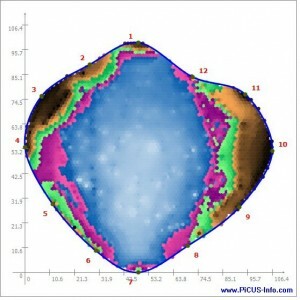 It is also sufficiently sensitive that it can measure individual annual growth rings.